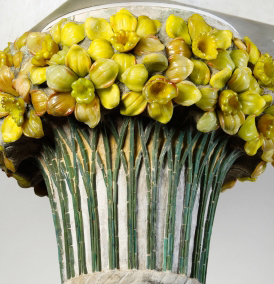 This comprehensive exhibition on Louis Comfort Tiffany’s celebrated Long Island home, Laurelton Hall, features the restored Daffodil Terrace and approximately 200 objects from or related to the estate. Reflecting on his artistic career at a celebration of his 68th birthday in 1916, Louis Comfort Tiffany characterized his work across various media as a lifelong “quest of beauty.” Few artists have been as energetic or as successful as was Tiffany (1848–1933) in establishing that aesthetic ideal in the American home. Louis Comfort Tiffany’s Life and Art examines through art objects, archival documents, and artifacts Tiffany’s astonishingly diverse work in the decorative arts over the course of his lifetime. Charles Hosmer Morse (1833–1921), the industrialist and philanthropist for whom the Museum is named, began wintering in Winter Park in the mid-1880s. He purchased Osceola Lodge, built in 1886, in 1904 and transformed the house into a modern residence fitted with the latest and best furnishings in the Arts and Crafts style. This vignette includes some of the objects from the house. 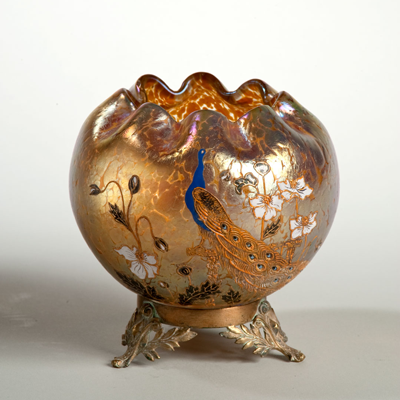 During the second half of the nineteenth century, iridescence—the optical light phenomenon natural to seashells, butterfly wings, and peacock feathers—captured the interest of glassmakers and potters in both Europe and America. The enthusiasm for mimicking these color-changing effects followed exciting discoveries of antique glass that had become iridescent after centuries of burial within mineral-rich soils. 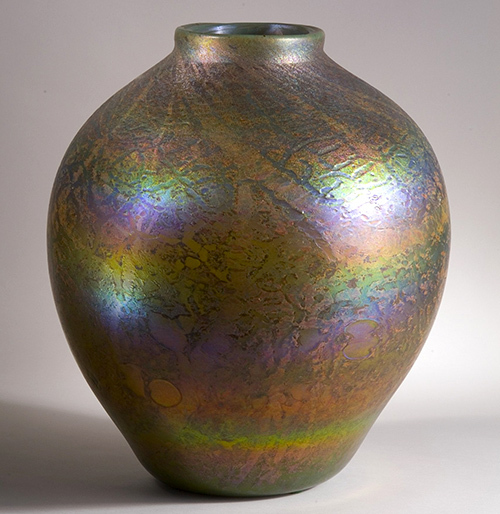 The premier decorative art studios of the West, notably Louis Comfort Tiffany’s firm in the United States and Glasfabrik Johann Loetz Witwe in Europe, developed chemical techniques to reproduce iridescent rainbow colors on par with nature. In this exhibition, the Museum celebrates iridescence through diverse examples from these and other companies of the era represented in its collection. 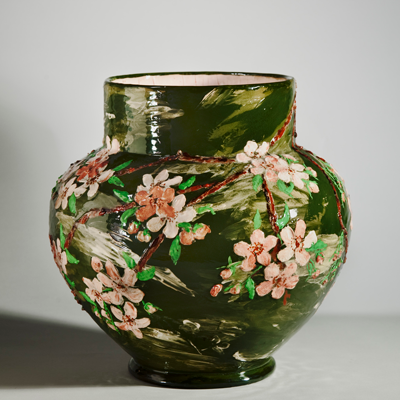 In the late nineteenth century, American-made art pottery was internationally recognized for its innovation, quality, and beauty. In this major exhibition, the Museum turns a spotlight on America’s art pottery pioneers in Cincinnati, many of whom were women. 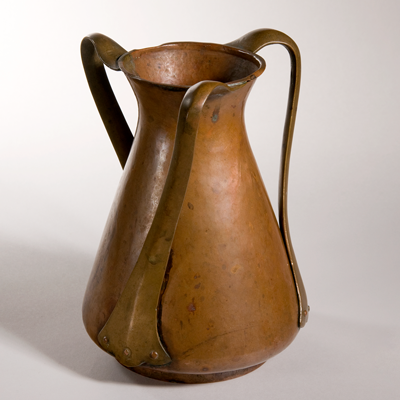 Originating in England, where leading proponents included William Morris (1834–96), the Arts and Crafts movement was a response to the Industrial Revolution. Its adherents set out to reform the look of the everyday visual environment that had become, in their view, corrupted by the ugliness of machine production. Not only did factories produce badly designed goods but in reducing human beings to cogs in wheels, they destroyed dignity of labor. Arts and Crafts artists and designers set out to restore beauty and integrity to domestic products like dishes and flatware, vases and pitchers, chairs and tables as well as interior design and architecture itself. Furthermore, through handicraft, they aimed to revive the pride of the artisan. 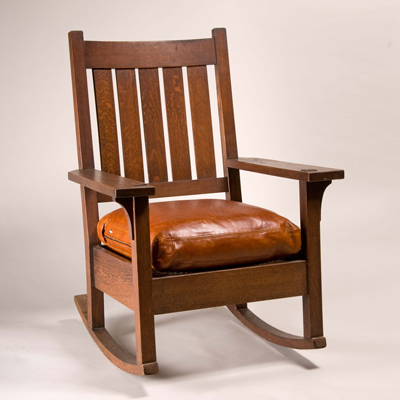 Works in this gallery, all selected from the Morse collection, illustrate the simple beauty of the objects created by American art potteries, furniture makers, metalworkers, and others who took up the ideals of the Arts and Crafts movement. Art Nouveau—French for “new art”—arose almost simultaneously in Paris, London, Vienna, Munich, Milan, and Barcelona. Horrified by the cheap mass-produced goods typical of industrial production in the nineteenth century, artists set out not only to improve design but to make it modern. Stylistically Art Nouveau varied by region. Though the objects could include strong straight-line geometry, Art Nouveau was dominated by elegant curves and counter-curves, asymmetrical composition, and sinuous, sensuous line. Its focus was on nature generally and the female face and form particularly. 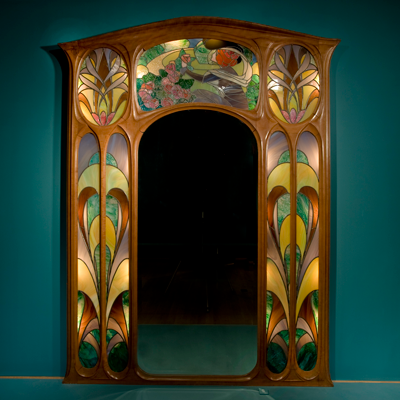 This exhibition, assembled entirely from the Museum’s collection, includes fine examples of Art Nouveau from the hands and hearts of artists, designers, and artisans from Europe and America. Although best known for his achievements in the decorative arts, particularly glass, Louis Comfort Tiffany was an active painter and photographer throughout his life. This exhibition draws on the Museum’s collection of Tiffany’s less well known two-dimensional works, examples that are poetic in character—sometimes joyous, sometimes elegiac. Tiffany, who traveled broadly, was unceasingly engaged with his visual environment, recording his impressions with camera, brush, and pen. 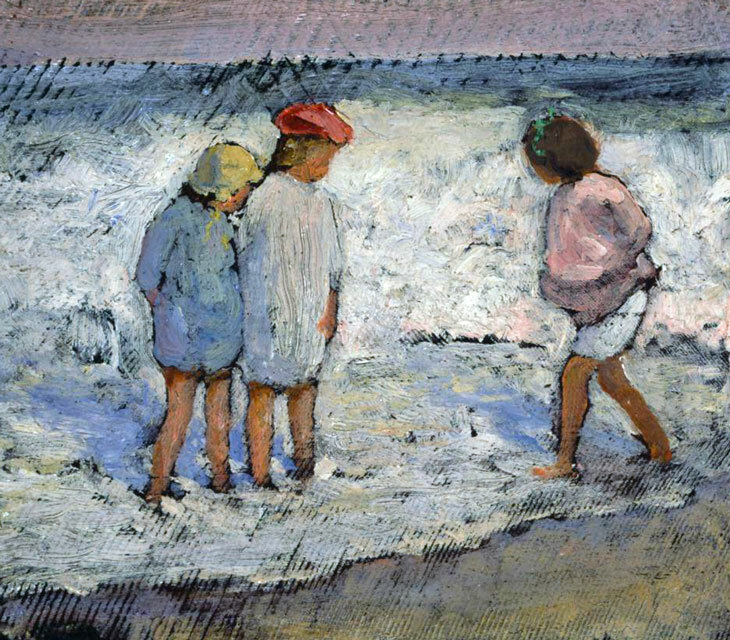 While Tiffany’s famous works in glass dazzle the eye, his paintings and photographs provide an intimate portrait of a man moved by the simple beauty of everyday life—farm scenes, children playing in the surf, and boats on the Hudson River. Inspired by the aesthetic vision of Louis Comfort Tiffany (1848–1933) and with his careful guidance, talented designers and artisans produced some of the most stunning and innovative decorative objects of his and our own time. Organized from the Morse collection, this exhibition presents some of the designs for the diverse objects—including lamps, windows, vases, and even baptismal fonts—born of this complex and enterprising organization. The show will include objects, sketches, drawings, and photographs that reveal something of the creative process at Tiffany’s firm. Tiffany Studios was arguably the most accomplished maker of art glass in the world in its day and undoubtedly one of the best of all time. In this new installation, the Morse presents examples of Tiffany art glass that richly illustrate the artist’s mastery of this medium. 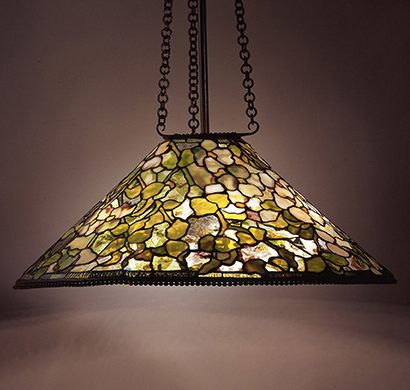 Although Louis Comfort Tiffany was an international success before his first lamp, his signature style of lighting has certainly extended the breadth and depth of his popularity across America and through time, from the 1890s to this day. 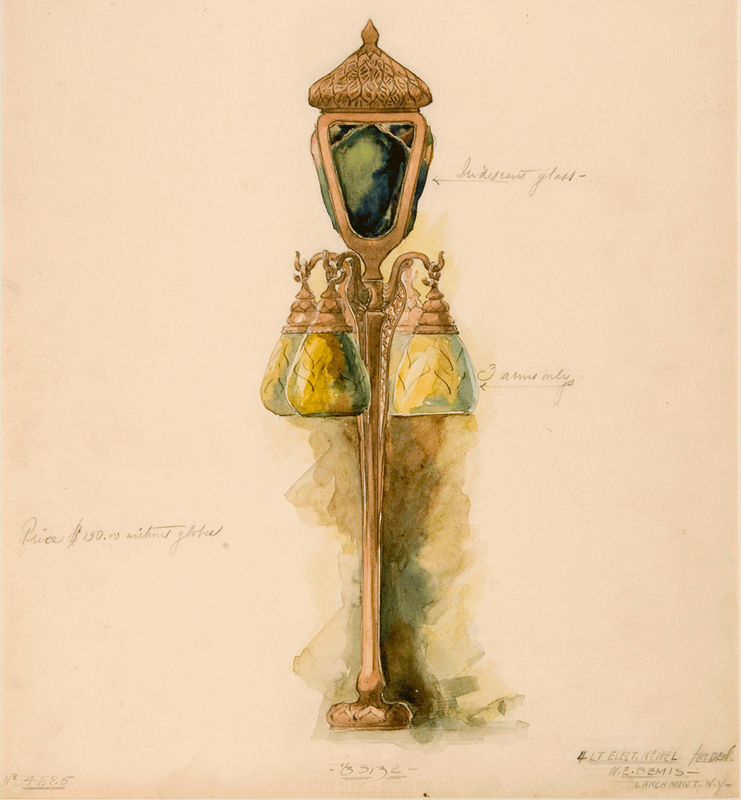 With his lamps and lighting fixtures, Tiffany created a uniquely beautiful and clever look for illumination that captured the American and European audience and even now fascinates and charms people all over the world. 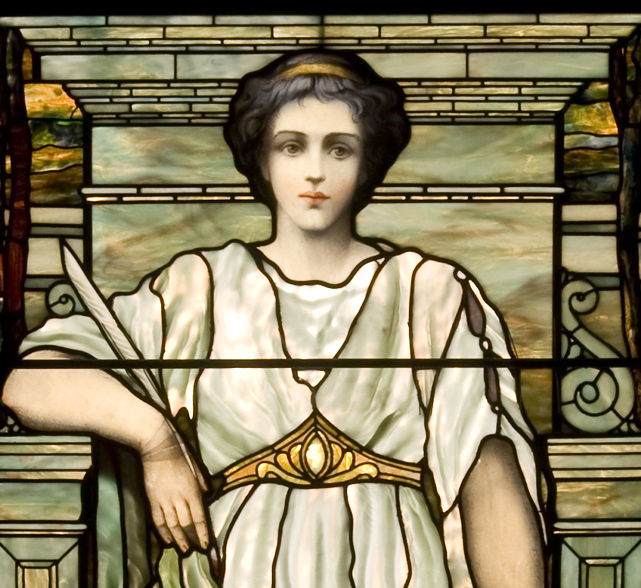 The Arts window, c. 1894, by J. & R. Lamb Studios is the centerpiece of this major new exhibition that illustrates the rich diversity of styles that made up the visual environment of the late 19th century in both Europe and America. Lamb Studios, a prominent American glasshouse of the era, exhibited the neoclassical window widely. In preparation for its debut at the Morse, the window, more than eight feet in diameter, underwent extensive conservation. The installation, organized from objects in the Museum’s collection, features about 20 additional leaded-glass windows and selections of art glass, pottery, and furniture, a number of which also have never been exhibited. Besides works by Lamb, windows on view—some avant-garde, others reviving styles of the past—include examples by Tiffany Studios, John LaFarge, Frank Lloyd Wright, Edward Burne-Jones, Donald MacDonald, and Heaton, Butler & Bayne. The celebrated chapel interior that Louis Comfort Tiffany created for exhibition at the 1893 World’s Columbian Exposition in Chicago opened as an exhibition at the Morse in April 1999, becoming available to the public for the first time in more than 100 years. 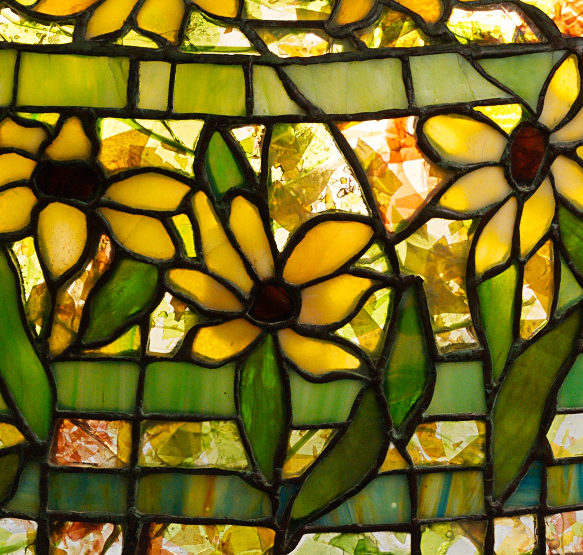 The mosaic and glass masterpiece, a testament to his design genius, established Tiffany’s reputation internationally. Updated installation opened September 4, 2012. Through photographs, models, tools, and art objects, this teaching exhibit shows the range of Louis Comfort Tiffany’s glass production, from mosaics and molded-glass jewels to leaded-glass windows and lamps, providing insights into the techniques employed by his artisans. 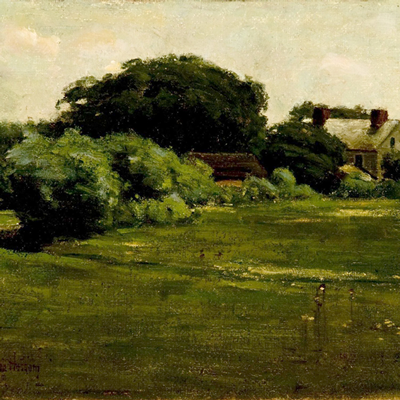 This recently updated gallery of primarily American paintings features more than 20 works representing a variety of late 19th-century styles, including portraiture, genre scenes, and landscapes. This permanent gallery features about three dozen objects, including 11 pieces of jewelry that Tiffany designed for the new art jewelry division he established at Tiffany & Co. after his father died in 1902.